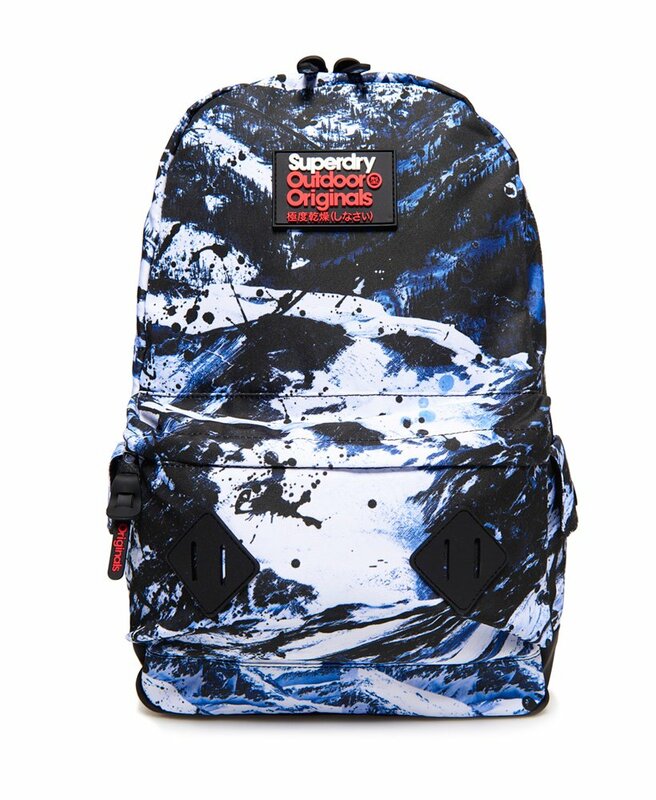 Superdry men’s Abstract Alpine Mountain rucksack. Perfect for storing your everyday essentials, this backpack features a large zip fastened main compartment, twin side popper fastened pockets and a smaller front zip fastened compartment. The Abstract Alpine Mountain rucksack benefits from a padded back, padded adjustable straps and a rubber Superdry Outdoor logo badge on one strap. This rucksack is finished with a rubber Superdry Outdoor Originals logo badge on the front.